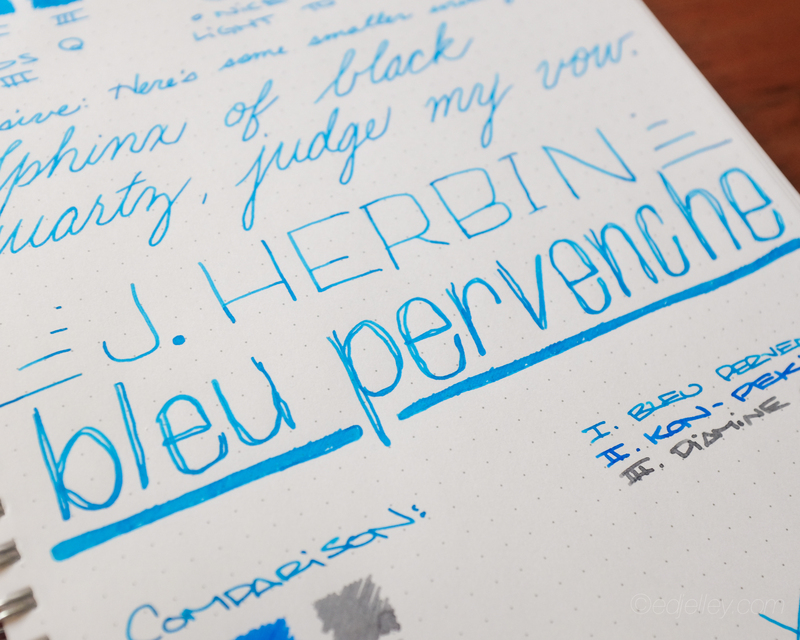 When I saw that J. Herbin now offers small sample size bottles, I had to jump at it! 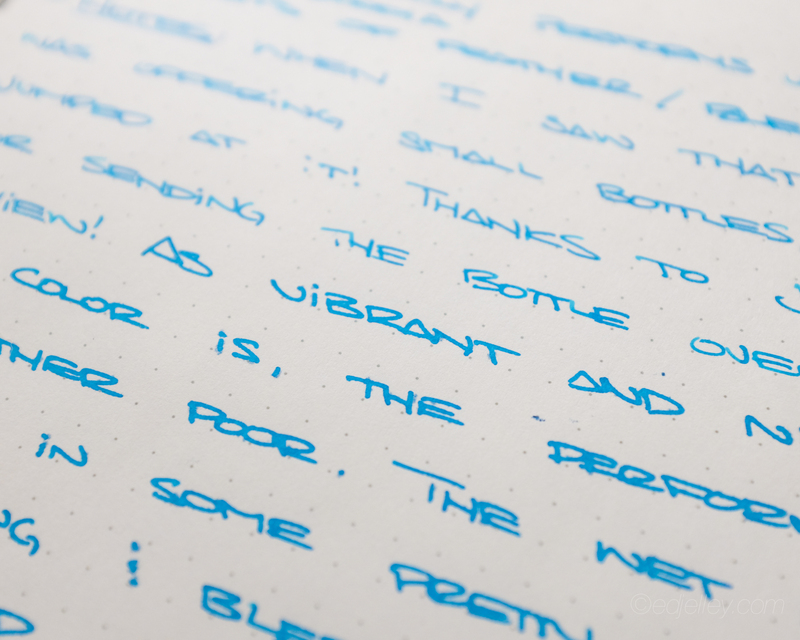 Thanks to JetPens for sending over the bottle for review! 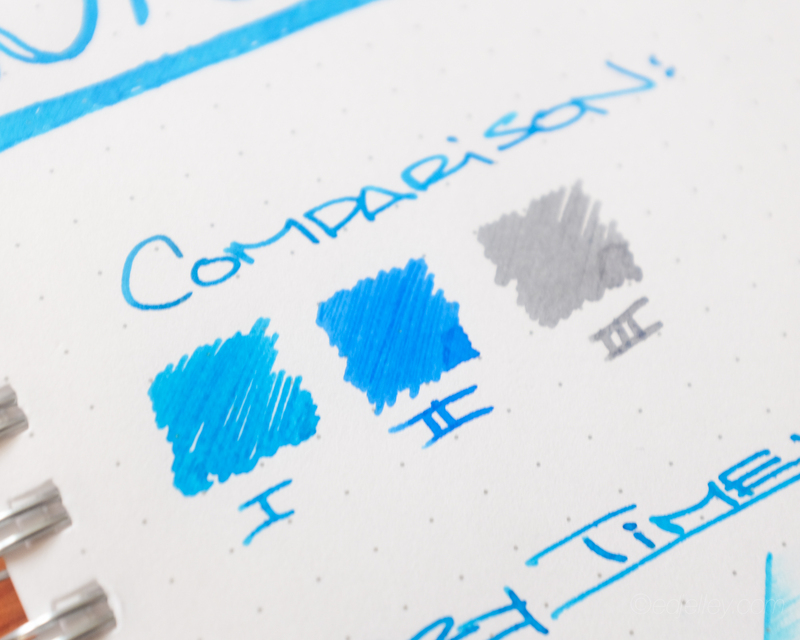 As vibrant and nice as the color is, the performance of the ink is rather poor. The wet flow writes nicely, but results in some pretty bad feathering and bleed through. 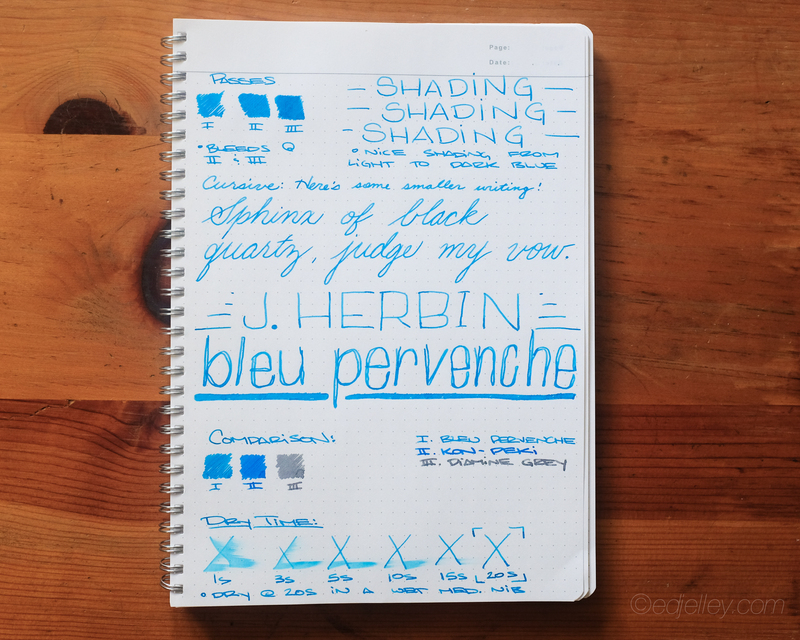 I haven’t had this issue with other J. Herbin inks, making this atypical. There are plenty of other blues out there, lots very similar. Unfortunately, I’d recommend passing on this one. 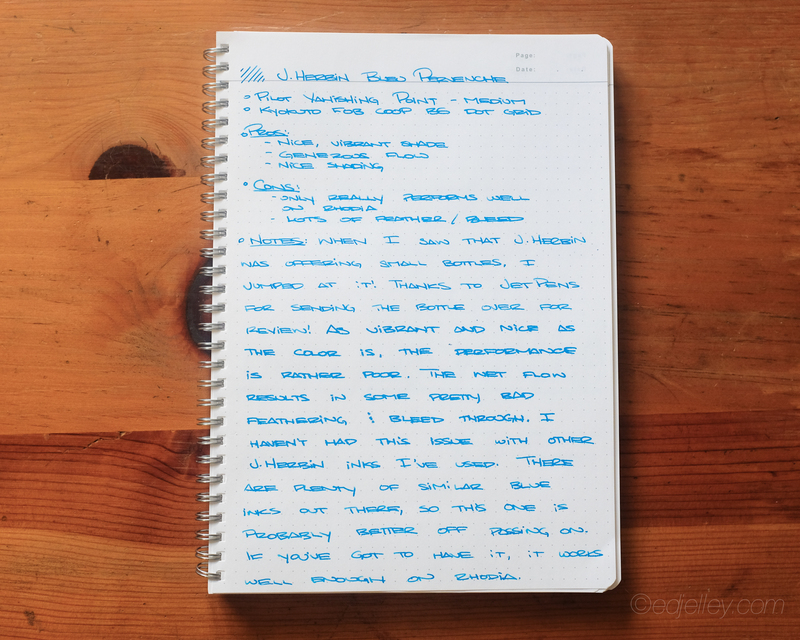 If you like what you see and you absolutely have to have it, it does work well on Rhodia paper. Check out JetPens for tons of awesome Japanese pens and stationery. Free shipping on orders over $25, and hitting that is always an easy task! 2015 Long Island Pen Show Recap! Update: Winners Announced! 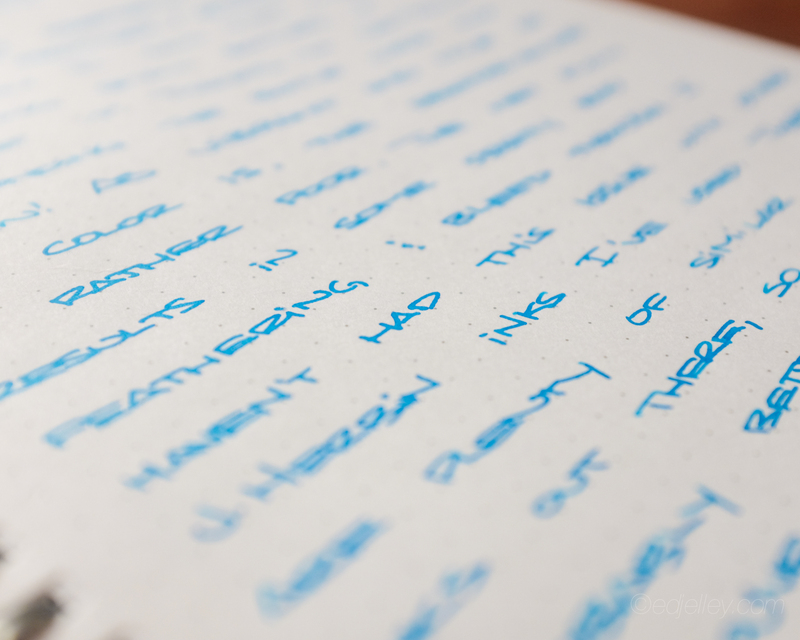 Win One of Two Pilot Vanishing Point Prize Packs from Massdrop! 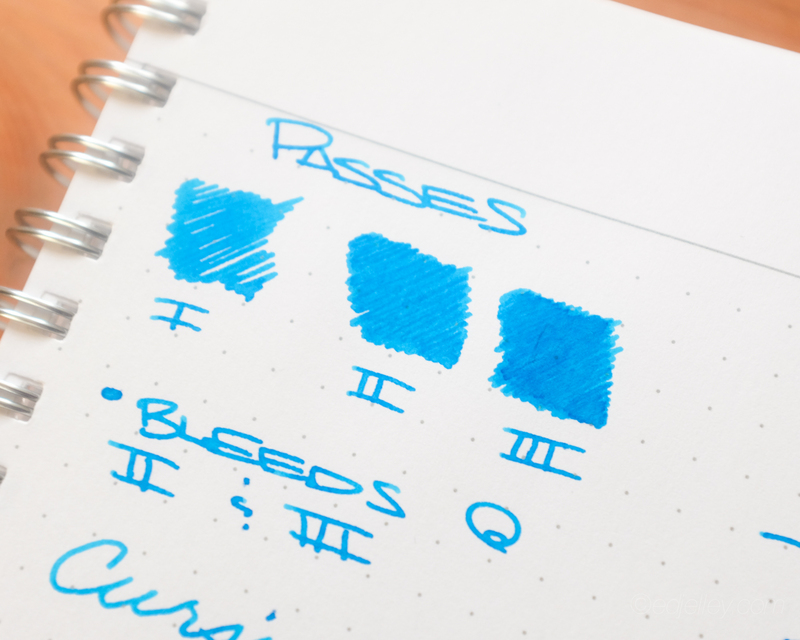 Personally I love this ink and haven’t experienced any issues with feathering or bleeding. 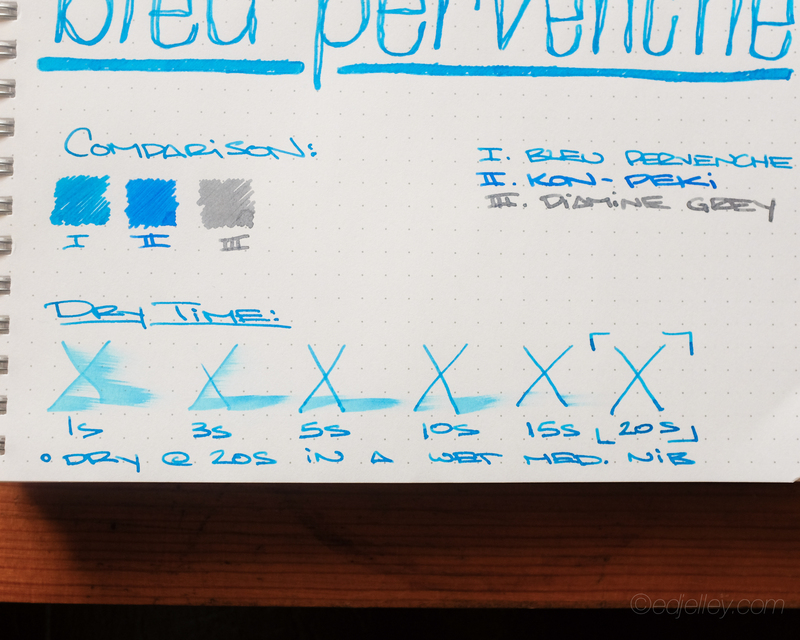 I use F or EF nibs so that might make the difference but in my opinion the color and behavior are fantastic! 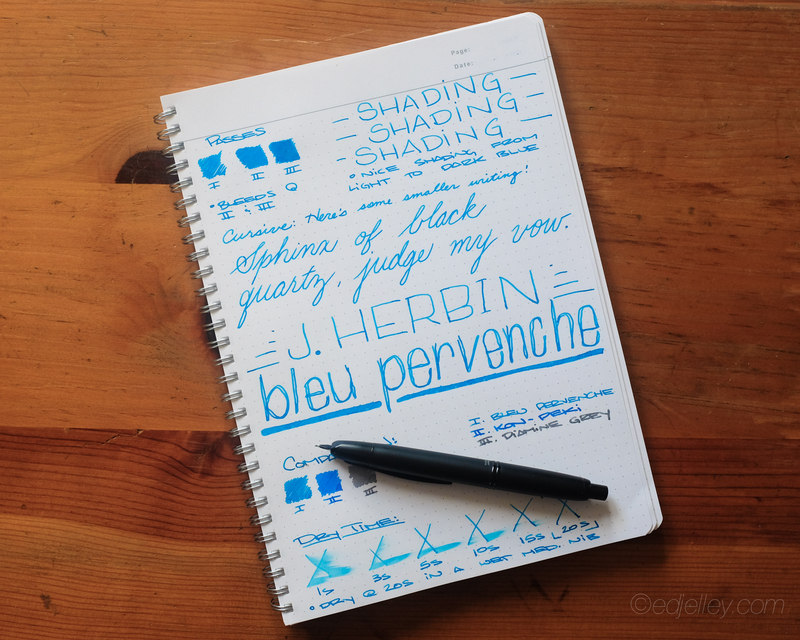 Same here, I do like this ink. It flows wonderfully, nice color. No bleeding or feathering, even on regular-ish paper. 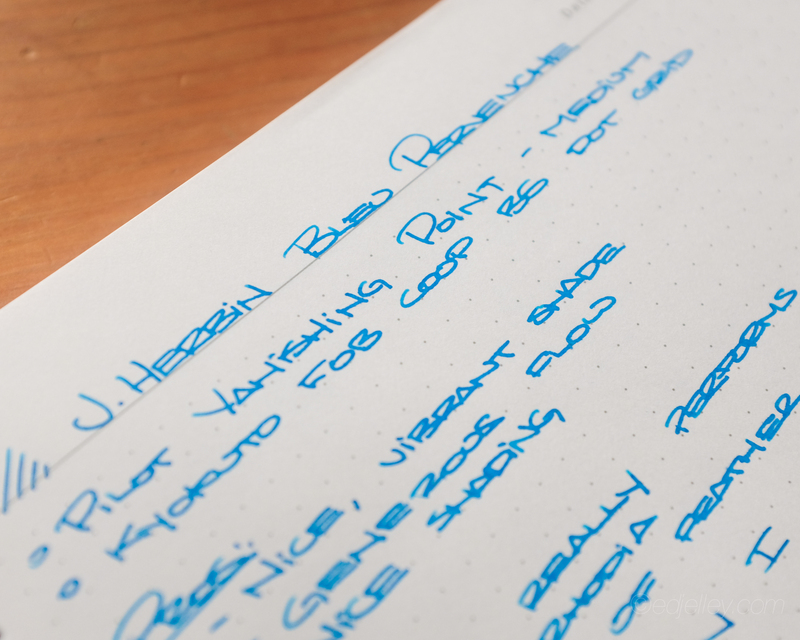 Haven’t triet Moleskine though… I used a TWSBI 580 F-nib and an Platiunum Balance Crystal / Cool nib. 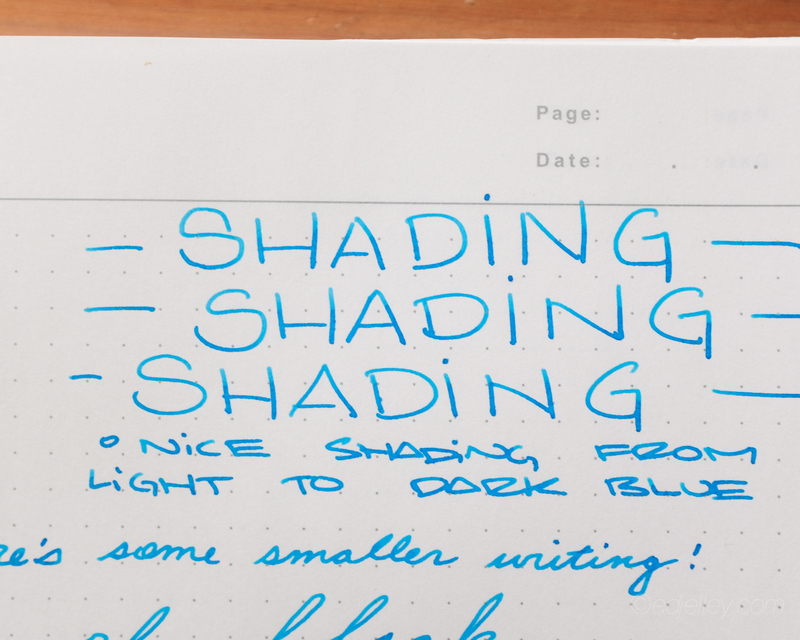 Wow…that ink kind of kicks you right in the face!